The China Property is located in Chengdu, the capital city of Sichuan province. The property comprises four levels of retail space with a mezzanine floor. Situated within the Second Ring Road, it is in close proximity to high-end residences, offices and the US Consulate in Chengdu. The Nijiaqiao MRT Station is located in front of the property and provides convenient access. 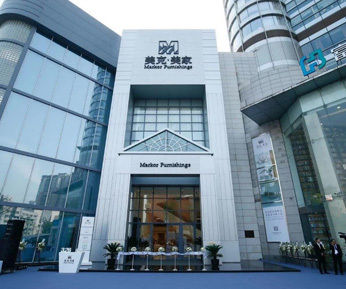 The China Property has secured a long-term tenant, Markor International Home Furnishings Co., Ltd., one of the largest furniture retailers in China. This long-term tenancy agreement, which incorporates a fixed rent with a periodic rental step-up lease, replaced the department store model and provides income stability amidst the challenging retail landscape in Chengdu. A four-storey building completed in 2003. Part of a mixed-use commercial complex comprising retail and office. Targets the high-end income segment and expatriates. Fixed rent structure with periodic step-up. As at 30 June 2018.